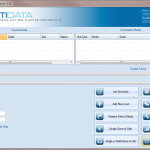 DTI Data can restore or recover your RAID 5, SAN, NAS, Snap Server, and others. 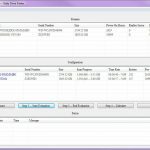 Here at DTI we have certified specialists and file system programmers available 24/7 to address your RAID data recovery needs. We also offer forensic services. As always, DTI Data offers free evaluations on all hard drives and RAID systems. Utilizing our proprietary software and hardware solutions, DTI Data can get back your vital server data. Don’t let other companies fool you by offering on-site or immediate remote recovery options. All the disks in a RAID must be cloned before any utilities can be run against it. A single mistake can destroy all of your data. Make sure you use the experts first. One drive is marked as bad, the card and the array is degraded. Then the drive is forced online and the data gets corrupted. One drive is marked by card as bad and the array is degraded. Drive is not replaced and the array continues to function. Then, a second drive goes down and the array goes down. Then it is not clear which drive went down first and it becomes difficult to determine which drive has stale data. An automatic rebuild is started and the wrong drive is used as a rebuild point. Drives are taken out of array and put back in the enclosure out of order. If your drive has been exposed to natural or man made disaster such as fire, water etc. Please, do not turn it on. Make sure it is packaged in a waterproofed container until it can be examined by a RAID data recovery professional. A drive under these conditions must be opened in a clean room environment. Powering up the unit may cause permanent damage to the data and ruin the chance of a recovery. Your array requires the services of a data recovery professional. Due to the high importance of a RAID system, we consider a RAID data recovery a top priority. Our standard turnaround time for RAID data recovery, regardless of the size, is 4-6 business days. This is one of the fastest turnaround times in the industry for RAID Data Recovery. First, make sure that all drives have spun down and no power is getting to any of them. Some RAIDs are configured to do an automatic rebuild if it comes back online. Note, if a stale drive is in the array this will be the end of any chance of data recovery. The RAID may also be configured to do a background surface scan of each drive that can in fact damage any suspect media even further. Before performing any type of initialization, reconfiguration, scrub, or any other different RAID reset functions, backup your drives. Remove the drives from the enclosure. Then put the drives in a separate computer and using a sector by sector software, make images of each drives. Then, thoroughly check the backups and their data. Don’t just view the tree, also look in the folders and make sure the data is there. This way you will know if the data is up to date and you can start your migration process in case you can not get the RAID to come back online. These utilities are not designed to save data. 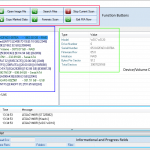 These programs are designed to align file systems for mounting. Also, when a checker runs it is usually a sign that there is a stale drive in the array. Finally, if you are not sure what to do, give us a call. We will be happy to help you. Call Toll Free (866) 438-6932 to speak with a qualified RAID data recovery engineer now!